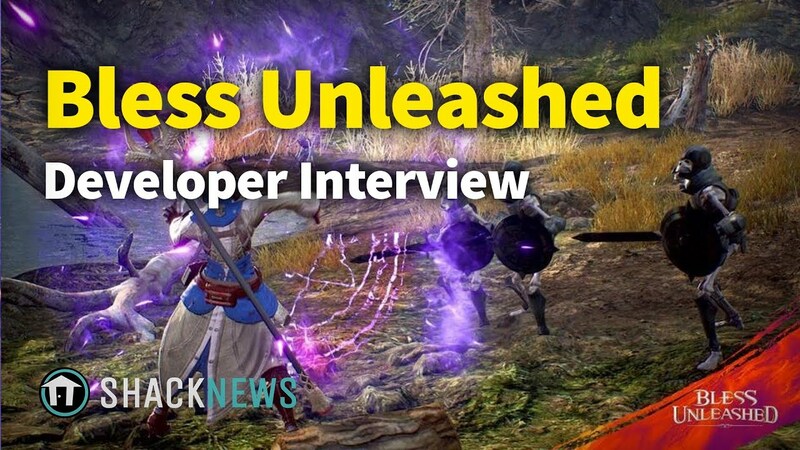 Bless Online is out on PC, but Bless Unleashed is looking to be a different kind of MMORPG experience, so Shacknews spoke to the developers to learn about crafting this new game for Xbox One. Bandai Namco has largely been recognized for its work with fighting games and anime properties, but the publisher is also opting to take a chance on an MMORPG. It's an Xbox One-exclusive MMORPG, at that. Bless Unleashed, a follow-up of sorts to Bless Online, is being touted as the next-generation MMO, one built for mature audiences. To learn more, Shacknews spoke to some of the game's developers, regarding the challenges of going from PC to console. "Using the overall controller itself was something that I anticipated already," Head of Development Jason Park tells Shacknews. "So we prepared for it and we were designing for it. Indeed, we were designing everything for it. Probably the most prominent challenge that we experienced was, in fact, the UX/UI, because on PC, you can actually show a lot of information at the same time in many different areas of the screen, but console is quite different." Park goes into making the transition from Unreal Engine 3 to Unreal Engine 4, console gaming inspirations, and more. Bless Unleashed is coming soon to Xbox One. For more interviews like these, be sure to follow Shacknews and GamerHub.TV on YouTube.